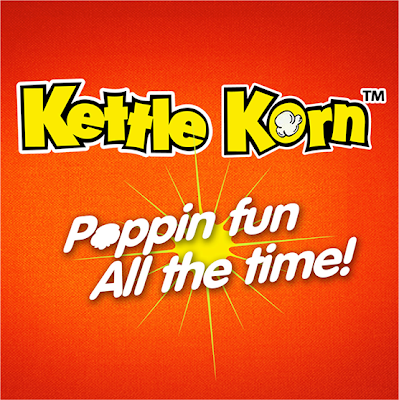 SugarSmile: Kettle Korn: Poppin’ Fun All The Time! When her mentors told her that they would introduce her to a publisher, Hazel was confident that she will blow the editor's mind away with her ideas. Dressed for her part, she marched into the address given to her, armed with her manuscripts. She was then surprised that the person she is set to meet was Jefferson. She wanted to run, but how? Seeming like a trap, she couldn't help but apologize for her mistakes. On the other hand, he could not let go of what she did. He wanted revenge, because she underestimated her. He said that he will forgive her but she has to work for him as a maid. Hazel was mad again! "How dare he is to bring me down! ", she said. She stormed out of his house and left her manuscript. And to that, Jefferson read it and he was greatly impressed. He searched for her but her pride was too important. When she decided to leave the country, they found themselves seating on the same train coach. He apologized a million times and begun falling in love because they know that destiny is working for them. That may be a corny plot, but hey, that's just me. You know what's not corny at all? KETTLE KORN! A movie night with my friends is never complete without it. It makes watching movies poppin' all the time. My favorite? Cheese Kettle Korn! I just love how you can hint a little caramel in it too. I don't mind getting my fingers all orange, Kettle Korn is my movie buddy and that stays forever. Yes, that's me getting cheesy and corny again. But my love for Kettle Korn is this big and always poppin'! How about you? What's your fun poppin' story? Share them here and to Nuffnang and get the chance to see The Fast and the Furious 6.